FAMILY – FOOD IS LIFE! 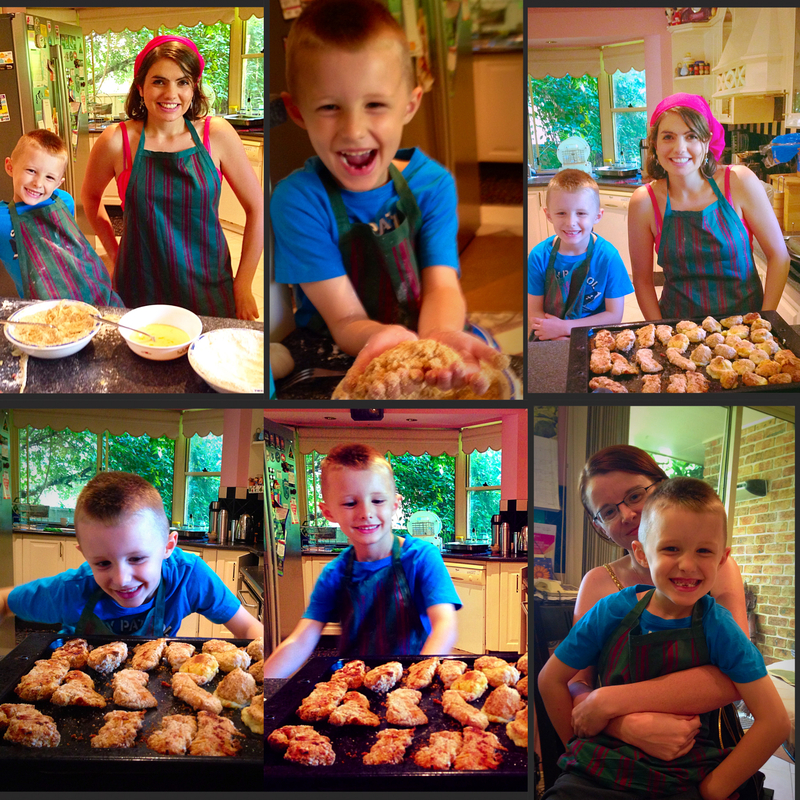 Kids Healthy & Easy Crumbed Fish Fingers with Cheesy Potato Gems! I could not believe my eyes today! Little Justin, who will turn only 6 years old in a few months, has achieved amazing things today. I was that proud of him, I had to stop a tear from falling! Justin’s mother and good friend of mine, was also very proud of him today! Today, Justin learned the following: food hygiene; hand hygiene; ‘Blades are Bad;’ ‘Stay away from the Stove;’ how to crack an egg into the bowl; how to mix the egg with milk to create a ‘sticky glue,’ how to mash potatoes; how to mix cheese into mashed potatoes; how to roll the potato and cheese into balls and coat into flour, then egg and breadcrumbs; how to coat the fish into flour, then egg and breadcrumbs; and how to clean-up after himself. He really loved his potato and cheese balls! This guy is a natural! Justin cracked the second egg all by himself! He even coated ALL the fish and ALL the cheesy potato gems and hand-rolled all his cheesy potato balls all by himself! This was his very first cooking lesson! Amazing! N.B. you will need to leave the fish to marinate in the honey-ginger-teriyaki marinade overnight, in order to achieve maximum flavour! You will need to marinade your fish the night before. Place all your fish in a large bowl. Add 1/2 cup of soy sauce; 1 Tablespoon of freshly grated ginger; 1 Tablespoon of freshly minced garlic and 2 Tablespoons of honey to your fish. 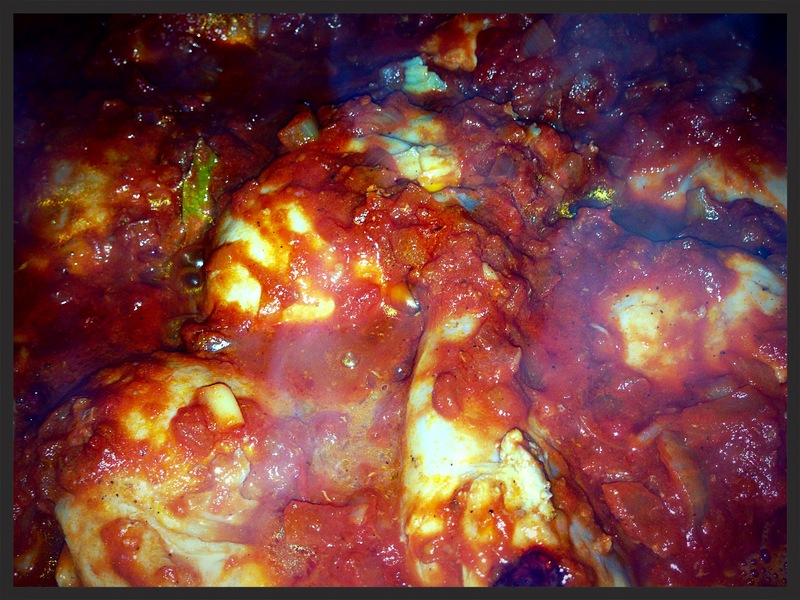 Mix to coat very well, then place cling film to cover the bowl. Place your marinated fish into your refrigerator and leave it there until you’re ready to cook the next day. Preheat your oven to 230 degrees celsius for a fan-forced oven. Fill a large pot with 2 litres of water, then bring to the boil. Peel all your potatoes, then cut them into large pieces. Once the water has boiled, place all your potatoes in the boiling water and allow to boil for 10 minutes. Once the potatoes have boiled, turn the heat to off. Strain the potatoes, then place the potatoes back into the pot. Add your milk to the potatoes, then mash until it is very smooth and creamy. Grate your cheese. Once grated, add all the cheese to the mashed potato, along with a pinch of salt and pepper, then mix with a wooden spoon until well combined. Set aside to cool by keeping the lid on the potato mix. While the cheesy potato mix is cooling, you can prepare your fish. Drain the excess marinade from your fish into a strainer, then place your drained fish onto the chopping board. Using a sharp knife, cut all your marinated fish into short strips. Place 150 grams of wholemeal flour into your first bowl. Place one egg, along with 150 ml of milk into your second bowl, then mix the egg and milk together. Place 150 grams of wholemeal breadcrumbs into your third bowl. Place your fish strip into the bowl of flower, mix to coat, then shake off excess flour. Place the same fish strip into the egg and milk mixture, coat well. Then place the same fish strip into the breadcrumbs mixture, coat well, shake of excess breadcrumbs, then place on a large plate. Repeat this process until all the fish have been coated. Once the cheesy potato mix has cooled, roll this mix into bite-sized balls, then place all these bite-sized balls onto a large plate. Place 150 grams of wholemeal flour into your first bowl. Place one egg, along with 150 ml of milk into your second bowl, then mix the egg and milk together. Place 150 grams of wholemeal breadcrumbs into your third bowl. Gently place your cheesy potato ball into the bowl of flower, mix to coat, then shake off excess flour. Place the same cheesy potato ball into the egg and milk mixture, coat well. Then place the same cheesy potato ball into the breadcrumbs mixture, coat well, shake of excess breadcrumbs, then place on a large plate. Repeat this process until all the cheesy potato balls have been coated. By now, you will have all your fish and cheesy potato balls coated and your oven is nice and hot! Lightly grease a very large baking tray with your olive oil spray. Place all your potato balls next to each other, ensuring they do not touch. Then place all your fish next to each other, ensuring they also do not touch. Then place in your preheated oven for 20 minutes, or until golden brown, turning the fish and potato within 10 minutes of cooking. The result will be a super healthy and delicious feast for you and the kids! Arrange your fish and cheesy potato bites onto a plate and serve with a wedge of lemon each.